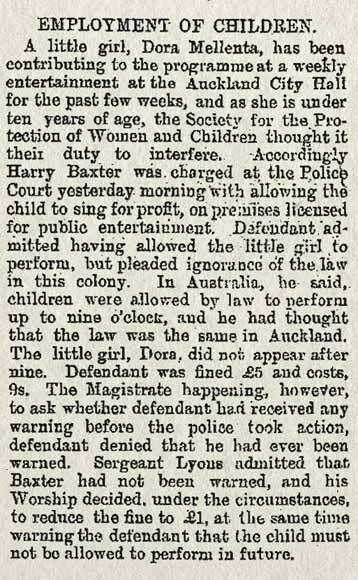 The New Zealand Society for the Protection of Women and Children (founded in 1893) was an early voluntary organisation which aimed to protect children from neglect and abuse. It brought cases to the attention of authorities. This newspaper clipping describes one such case from 1897. It was unlawful to employ a child under 10. Reference: Star, 4 December 1897, p. 6.